If you like to have all informations on one view, please download our product catalogue. Seasoned mountain maple wood from Bosnia, stained mahogany; 19 keys made of German silver, nickelplated; all fingerholes have hard rubber tubes; 4 rollers; all left hand thumb, wing joint keys, are elongated; 3rd finger, wing joint has a covered key; C# and D# on the long joint are closer to the 3rd finger, left hand, 1-»Excellent«-bocal. Seasoned mountain maple wood from Bosnia, stained mahogany; 22 keys made of German silver, nikkelplated; all fingerholes have hard rubber tubes; 4 rollers, 2-»Excellent«-bocals. 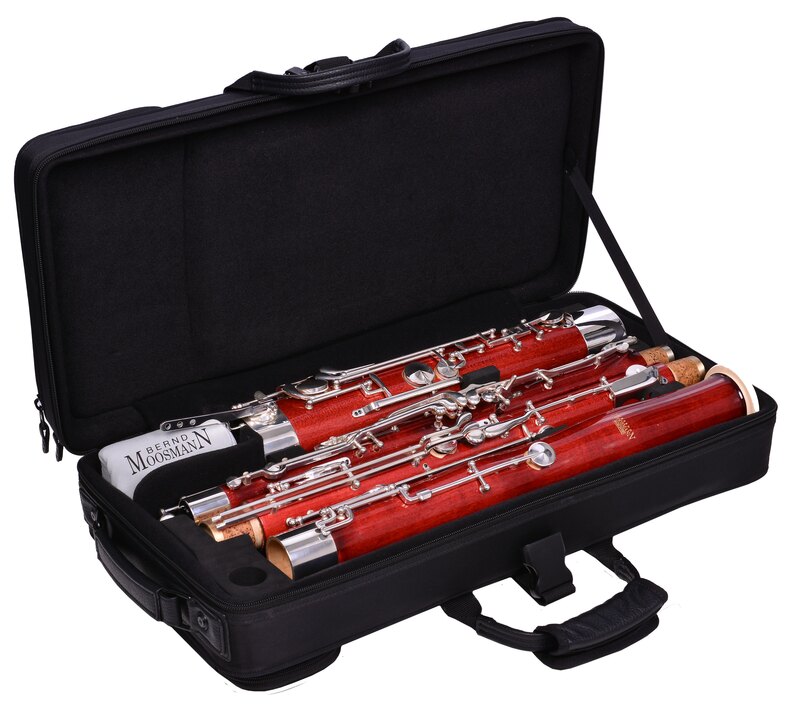 Good equipped student bassoon, seasoned mountain maple from Bosnia with a mahogany stain, hand-applied lacquer, 25 keys of German silver, high d-key, E/F# trill key, C# trill key, tubes protuding inside the bore from hard rubber, balance hanger, 4 rollers, 2 pcs excellent series bocals, accessories, compact case. 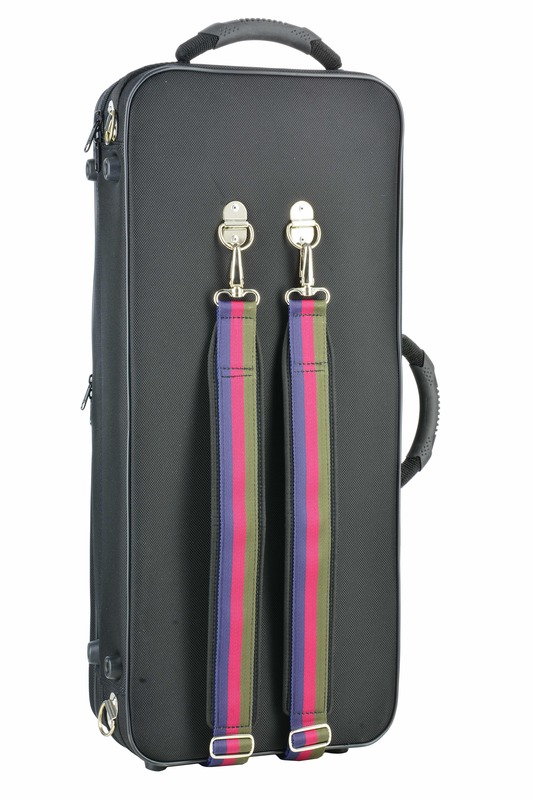 Fully equipped bassoon. Seasoned curly mountain maple wood from Bosnia, stained mahogany; 26 keys made of German silver, silverplated; all ngerholes have hard rubber tubes, protruding inside the bore; 9 rollers, 2-»Excellent«-bocals. Seasoned curly mountain maple wood from Bosnia, stained mahogany; French polish lacquer; 27 keys made of German silver, silver-plated; all fingerholes have hard rubber tubes, protruding inside the bore; 9 rollers, 2-»Excellent«-bocals. Seasoned curly mountain maple wood from Bosnia, stained mahogany; French polish lacquer; 28 keys made of German silver, silver-plated; all fingerholes have hard rubber tubes, protruding inside the bore (nickel-silver or sterling silver tubes also available); pivot screws with lock nut and hardened, high tensile steel ball bearings; 13 rollers, 2-»Excellent«-bocals. 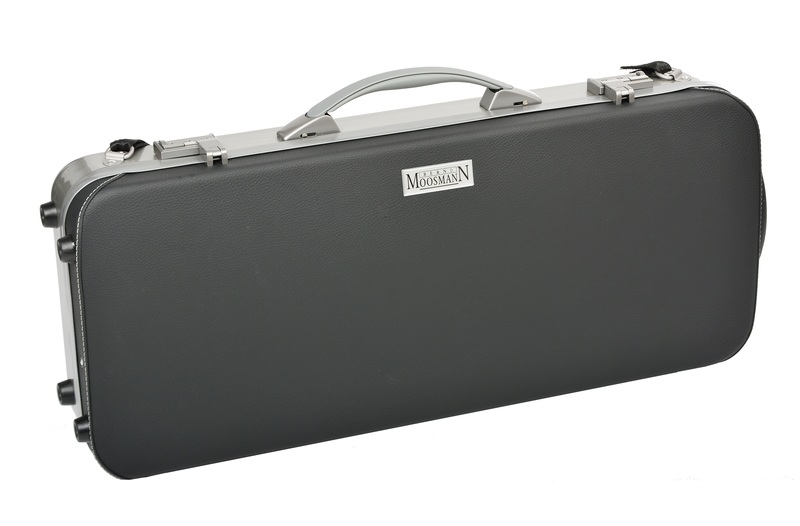 Fully equipped professional bassoon with the following special features: seasoned curly mountain maple wood from Bosnia, with a mahogany stain, hand-applied French polish finish for the body, 29 keys made from German silver, extra-heavy silver-plating, high E key, high F key, linkage from a speaker key – whisper key, balance-hanger, Ab-Bb trill key, 13 rollers, all finger- holes have sterling silver tubes extending into the bore, 2 Excellent or Interpret series crooks, Hightech fibreglass case. Customer option: you can choose to have the large bore of the boot joint lined or unlined. 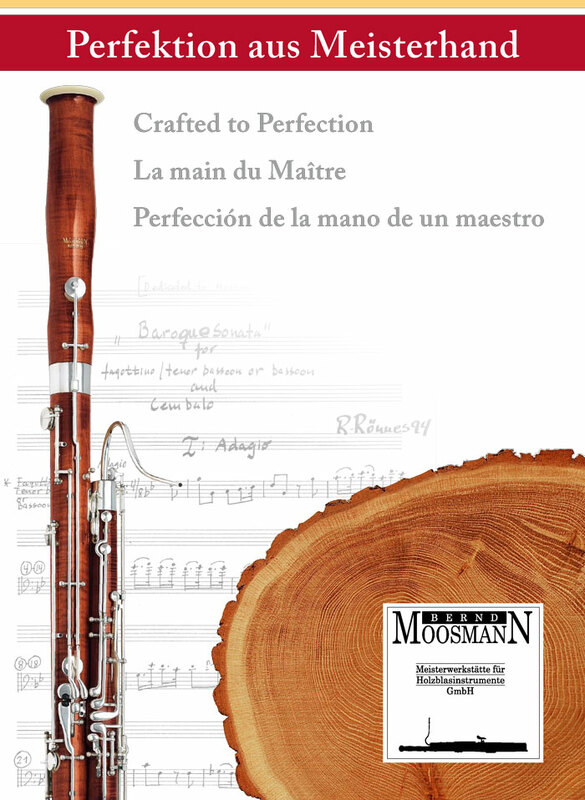 Fully equipped professional bassoon with the following speical features: seasoned curly mountain maple wood from Bosnia, with a mahogany stain, hand-applied laquer, thick-walled. 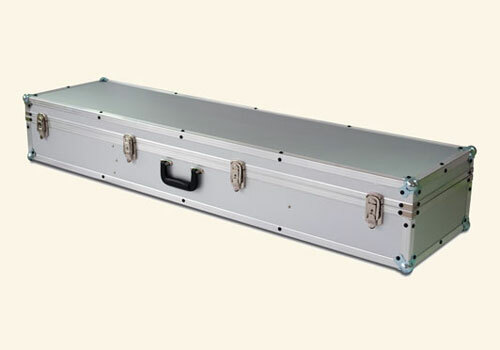 29 keys made from German silver, extra-heavy silver-plating, high E key, high F key, linkage from a speaker key – whisper key, balance-hanger, Ab-Bb trill key, 13 rollers, all fingerholes have sterling silver tubes extending into the bore, 2 excellent or interpret series crooks, hightech fibreglass case. Customer option: you can choose to have the large bore of the boot joint lined or unlined. Seasoned mountain maple wood from Bosnia, stained mahogany; French polish lacquer; 23 keys made of German silver, silverplated; 19 rollers; all U-tubes have conical bore; extendable tuning slide; adjustable support peg with locking posi- tions, 2-»Excellent«-bocals. The extent to which a certain musical interpretation is assisted depends on the instrument’s technical features. 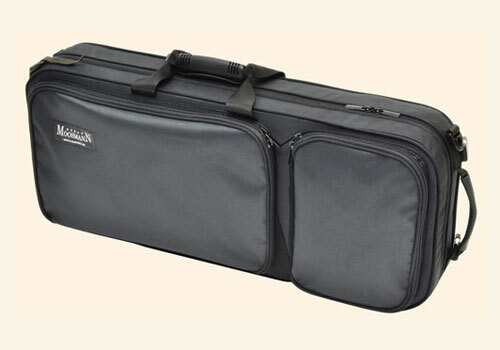 By choosing an appropriate bassoon bocal, it is possible to influence the capabilities of the instrument in a certain way. The factors open to variation are the material, wall thickness, dimensi- ons and production processes. The clearly distinguishable differences between the »Excellent« and »Interpret« series bocal are attributable exclusively to differences in the production process. 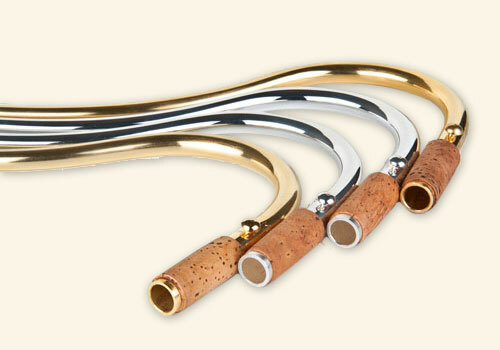 Created in cooperation with eminent bas- soonists from celebrated orchestras, our bocal sets new standards.